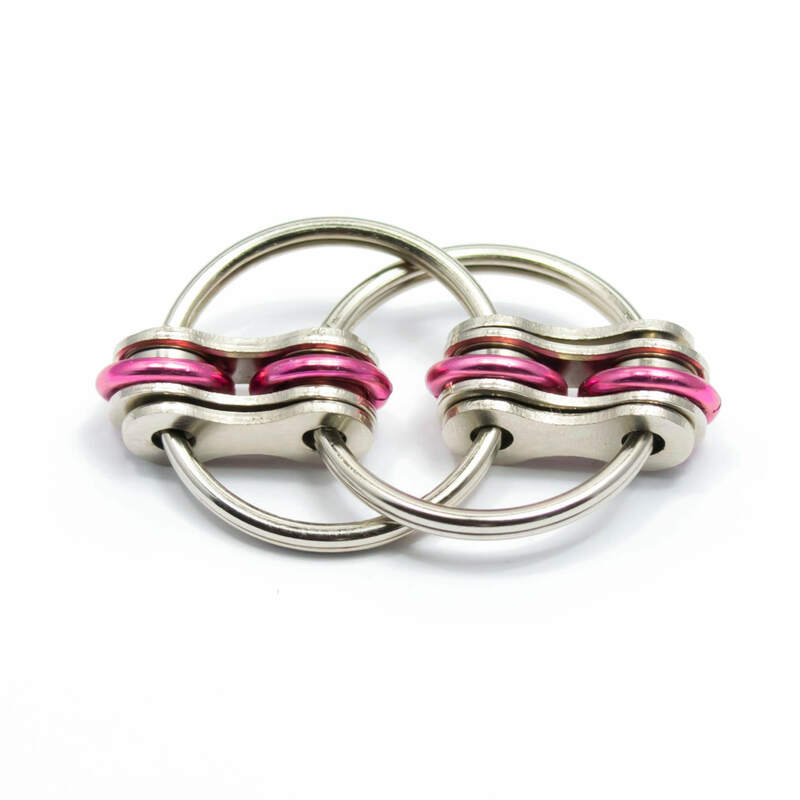 FidgetWorks – Fidgets for both children and adults to help improve focus and relieve anxiety. Great for those with ADHD, Autism, ADD in the workplace, school or at home. Here at FidgetWorks, we create fidgets to help cope with ADHD, ADD, Anxiety, Autism, Stress and more. All of our products are hand made in the USA. Please feel free to browse our products and contact us with any questions or comments you may have. Enjoy your stay! Fidgets in the Classroom? What you need to know. Fidgeting is the act of subconsciously moving a part of your body due to stress, anxiety, nervousness, boredom. 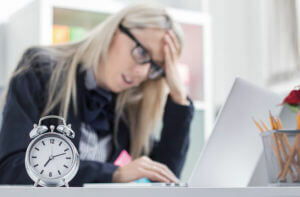 Next time you are at your desk or sitting on the couch, pay attention to see if you find yourself playing with something in your hand, or just moving your foot around without thinking about it. If you are, guess what? You’re a fidgeter! Are your fidgets latex free? Yes! All of the fidgets that contain rubber are made from silicone. Absolutely! Shipping charges vary for international orders. The shopping cart will automatically figure out the shipping options available to you and offer you all available options. My fidget broke! What can I do? Our fidgets are built to withstand quite a bit of abuse, however accidents do happen. If your fidget happens to break on you, simply email us a picture of what happened and we will send you a replacement as long as there are no obvious signs of abuse such as a chainsaw or hammer sitting next to your fidget in the picture. Are your fidgets allowed in classrooms? Absolutely! As long as they are used in a fashion where they are not distracting. FidgetWorks products should be treated as tools, not toys. 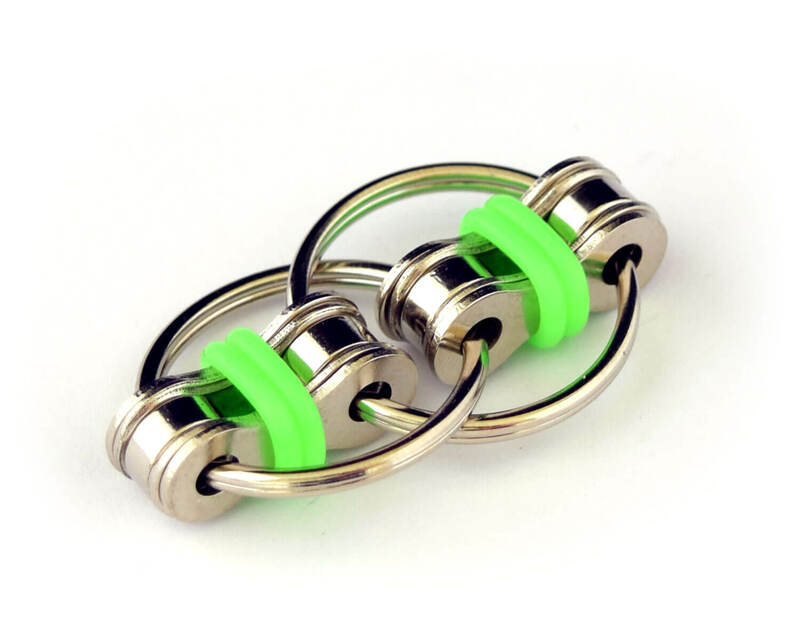 Our fidgets are nearly silent and are perfect for the classroom or other quiet environments. My son has add and Tourette’s syndrome. This helps him with his nervous tics and focus by giving him something to do with his hands. It is small and fits easily into his pockets. I thought he would be able to fit his fingers through it like a ring, but it is not large enough to do that. Love the simplistic, noise free design do it is not obvious or distracting to use in class. 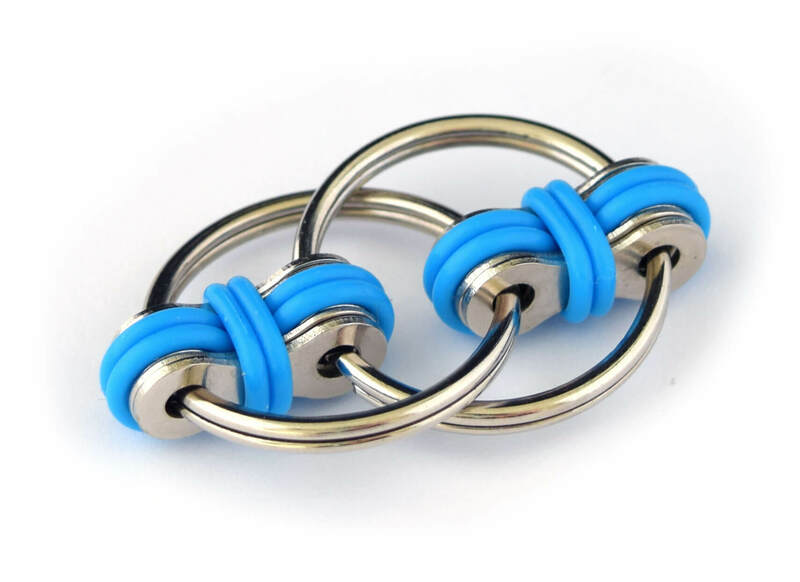 I just recently discovered fidget toys and I have to say, I love this. I’m really bad at sitting still and typically will fidget with things at my desk(pens, paperclips, etc.). This gives my hands something mindless to do and helps me focus on what I’m supposed to be doing. 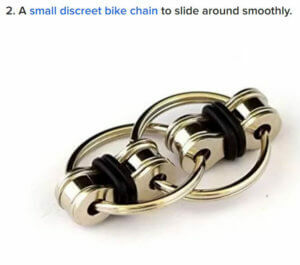 I like the feel of it and it’s pretty small so easy to conceal if I don’t want people to see me fidget. I really love this toy! It is so simple, but so helpful. It is the perfect size to fit inside your hand and keep hidden if needed. I really love using this for fidgeting, during school especially, because it is quiet. Also, if I do not want to stash it away in between classes, it fits on my finger as a ring. 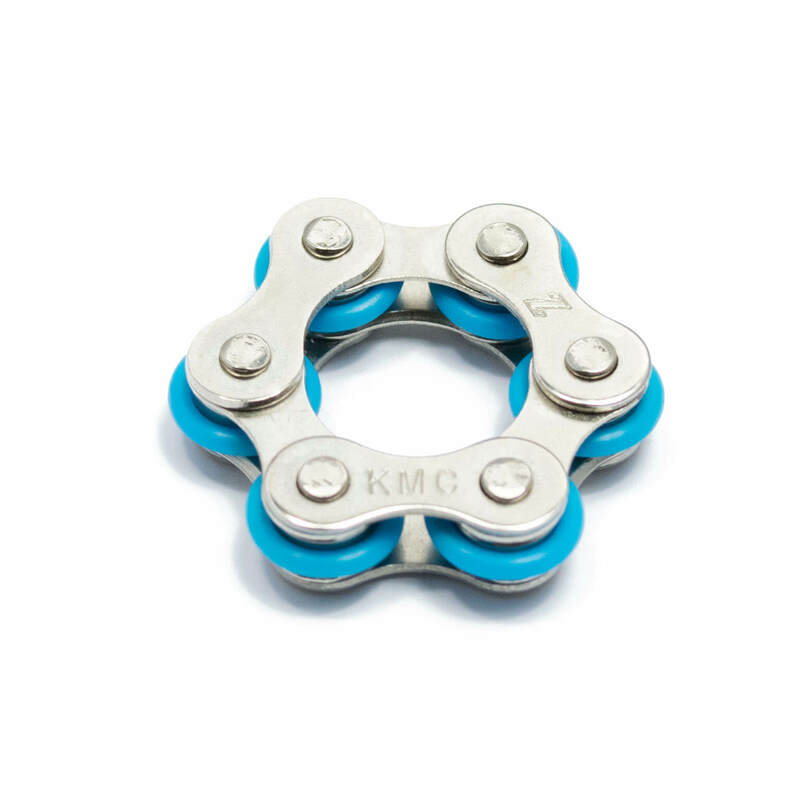 Would definitely recommend for any fidgeters out there! Purchased for a 5th grader who had difficulty concentrating. It is truly amazing how such a little thing can help so much. It is unobtrusive, so no one knows what he is doing, and he can now listen for quite lengthy lectures without losing attention. We put it on a ball type chain for him to wear, so it is always there when he needs it.